Most of us, myself included, tend to think about arts, crafts, and DIY projects as something that’s money-saving. But, the reality of the matter is that they can actually be more expensive than just buying the finished product. Pinterest is full of amazing craft ideas, but one thing that many of these boards exclude is the price! I forget the amount of times I’ve stumbled on a cool DIY tutorial only to drop it later because of the cost of having to buy all the supplies I need! It’s not really surprising though when you realise that crafting is serious business! In fact, the US arts and crafts industry is worth billions! The Hobby Lobby chain, one of the most popular arts and crafts retailers in the US was also among the leading craft retailers in 2017, and they made a staggering $5.8 million sales per store! Yet many of us avoid even starting arts and crafts with our kids because we fear the expenses will be through the roof. I’m a millennial (don’t sigh!) and we’re known for our saving habits, so I thought I would share some of the ways I save money on craft supplies! Kids seem to need constant creative outlets which can turn very expensive quickly. But, before you make a dash to purchase, check out what you have around the house. Yogurt pots, egg cartons, drinks bottles, tin cans and cereal boxes are all great items to wash and reuse for kid crafting! Food – Potatoes, pasta, rice, lentils! All these can be used for textured creations or painting. Old clothes, linen, and other fabric can all be used for sewing and crafts! The possibilities are endless and it helps you reuse and recycle! Not many of us think about second-hand shops or yard sales as prime locations to find craft supplies, but you can always find something! They are not specialized for crafts only, so there’s never going to be a lot of supplies, but you can grab stuff for a very low price. You can find projects to upcycle together, old clothes to transform and if you’re lucky, actual arts and crafts supplies! If you don’t want to waste your time looking, ring them beforehand and ask them to set aside any craft items until you get there. Did you know there are creative reuse centers in almost every state now? Perfect for saving money on craft supplies! Everything from pottery, knitting tools, embroidery kits, fabric, every possible type of paper, and much more – and all of it is super cheap! Here’s a great list of centers by state to check whether there’s one near you! Need I say more? Potato stamps aren’t going to quench that creative thirst you feel after finding a cute craft tutorial on Pinterest, so sometimes you’ll just need to hit the proper stores. That being said, private craft stores aren’t going to cut it. The dollar store should be your new best friend to save money on craft supplies. But be warned, it does add up! Glitter and glitter glue – let’s be honest, you will find a use for it in every project. Many craft stores offer discounts to their subscribers. This can land you a one-time discount or ongoing rotations from your store of choice to save money. Another option is to follow crafting bloggers who offer free templates or their own collaborative discounts! It sounds ridiculous but doing a quick Google search can often get you 10-15% off codes for free. Often stores release them themselves and other voucher sites pick them up! These are particularly useful if you’re doing online shopping! Choose the time of year to shop and you could be on to a winner! Stores discount seasonal items heavily once the season is over, so think of it as crafter’s Black Friday deals. You will find items discounted as much as 80% and 90% after Christmas or other common crafting holidays! I always buy craft supplies in bulk. It’s the most cost-effective way and you end up with a good amount saved up to last a while! Just be smart about it. Things like glitter, pompoms and colored card are all items that you’ll use time and time again! Here’s a trick I learned recently. When you’re crafting, try to preserve things as you go, and prepare to put the excess back in your stash of craft supplies when you’re done. It’s a bit easier said than done when crafting with kids but doing easy things like; crafting on a piece of paper and then funnelling it back in saves loads on glitter! Or, using offcuts of card for crafts rather than throwing them away. Ultimately, craft projects don’t have to burn through your budget if you know how to find good deals. 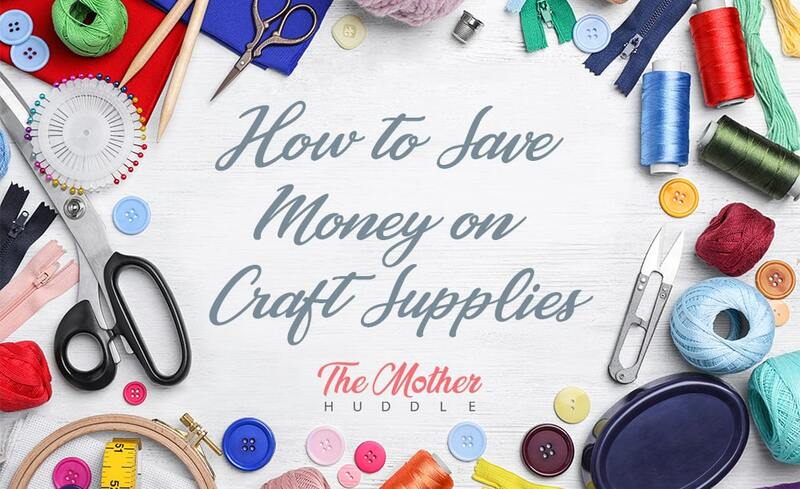 I hope these tips will help you craft (pun intended) your very own strategy on how to save money on craft supplies! 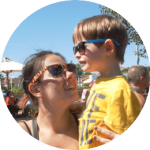 Charlotte is the owner of The Mummy Toolbox, helping you get the tools to look after your kids, pets, and yourself! With her 4 cats, 2 kids, 1 dog, and a husband, she’s pretty busy, and that’s just the way she likes it!